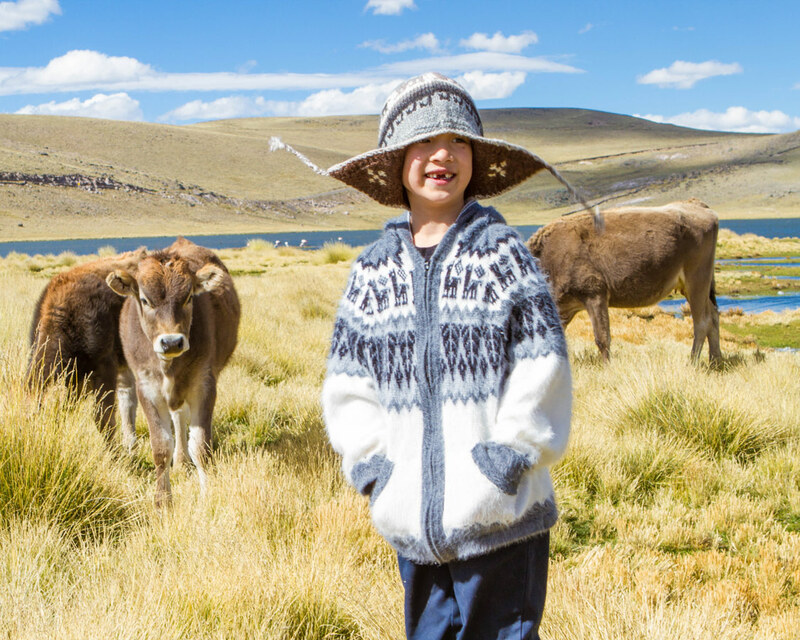 The best family travel experiences don’t just happen out of the blue. Whether you are looking for family vacations, adventures, weekend getaways, or a day at the beach, the experiences come through good planning. And after more than 6 years and 18 countries of family travel, we have a few tips that we want to share on how to prepare for family travel. 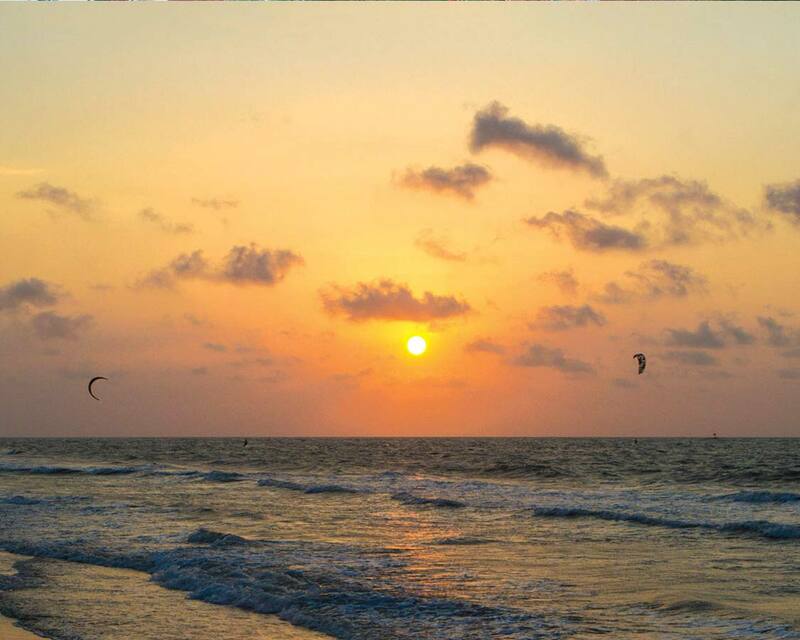 We will cover everything from planning a destination, booking the tickets, getting there and planning your activities. 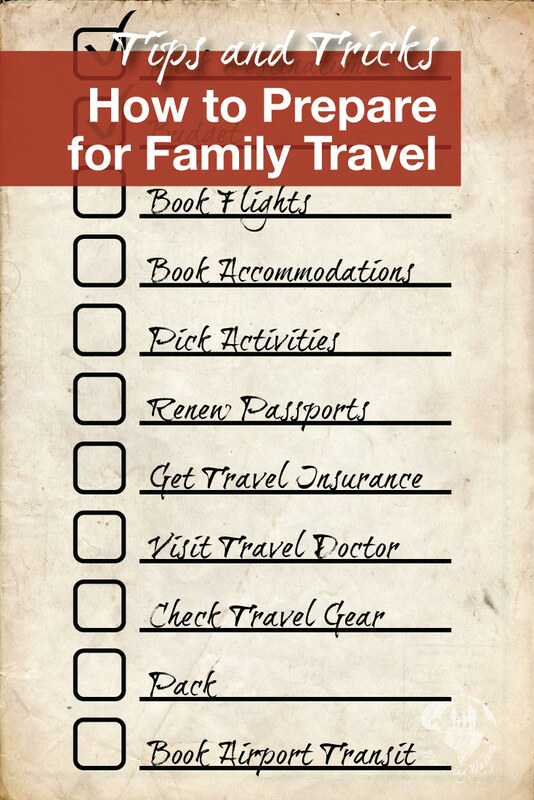 How Do You Prepare for Family Travel? The first steps in planning the perfect family vacation are sorting out your destination. We generally use travel software to search for the cheapest flights, hotels, or destinations. Other times we may choose a bucket list destination. Sometimes though, we have a plan to meet friends or family somewhere specific. 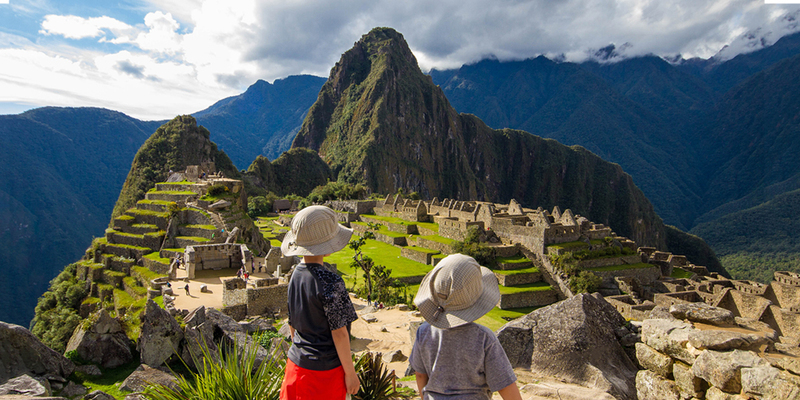 Picking a great family travel destination is key to the perfect adventure. And choosing your destination involves knowing your family, and their interests. Are you beach bums? 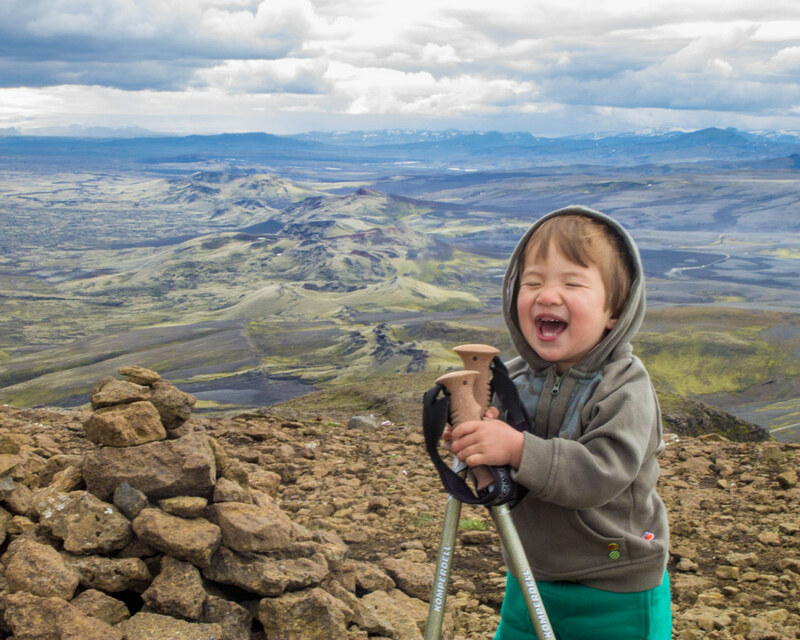 Or do you prefer family hiking destinations? Are you into travel for the thrill? Or do you prefer to get pampered in a Caribbean paradise? Whatever your travel preference, knowing your destination type is the first step in the family travel plan. We use resource guides such as Lonely Planet and Fodors books that can help to narrow down what each destination has to offer. There are also many amazing family travel blogs to explore. No matter where you plan to visit, there’s a good chance that we or one of them have been there and can tell you about it. Find out which places have the ideal combination of weather, activities, and price to best fit the needs of your traveling family. Wikitravel is also a good tool for finding great information about destinations. Booking lower priced accommodations so we have more budget for experiences. 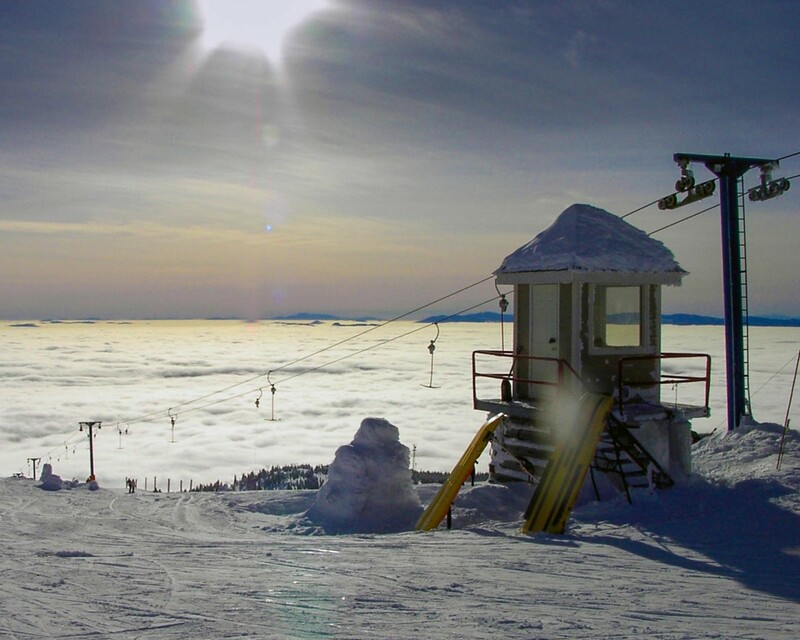 Finding ways to bundle experiences together to reduce costs. Buying food from grocery stores when possible to reduce food costs. Whether you are traveling by plane, train or automobile, figuring out the best way to get there, at the cheapest prices, is a high priority. Luckily these days there are some incredible apps to help you on your way. Whether you choose to book everything independently, where you individually pick your flight, hotel, car rental, etc. or you use a travel or booking agent to help you narrow down your choices, there are many options to help you get started. One of the most important things, when you prepare for family travel, is booking the best flight. The flight to a destination can often set the tone for your whole trip. Booking a flight for family travel can be stressful. With so many airlines and so many different packages, it can be overwhelming sorting out all the different options. What are the takeoff and arrival times of the flight? And how do those compare to our children’s sleep schedules? How early do we need to be at the airport before the flight (usually, international destinations require longer pre-flight times than domestic flights)? What is the travel time to the airport? There are a number of online tools that we use to help find book our flights online. Using online tools to book family flights can help to reduce the costs of family travel. Here are some tools that we use to help book family flights. Google Flights has been a very reliable tool for booking family flights. It’s intuitive, easy to use and allows for open-ended searches based on criteria other than the destination. This means that we can search for flights over a range of time. Or you can use it to help pick your destination by searching for destinations based on flight prices. SkyScanner is a tool that lets you search and book flights, hotels, and car rentals based on various search criteria. One thing we love about SkyScanner is that it uses an algorithm to predict when the cheapest booking times will be. 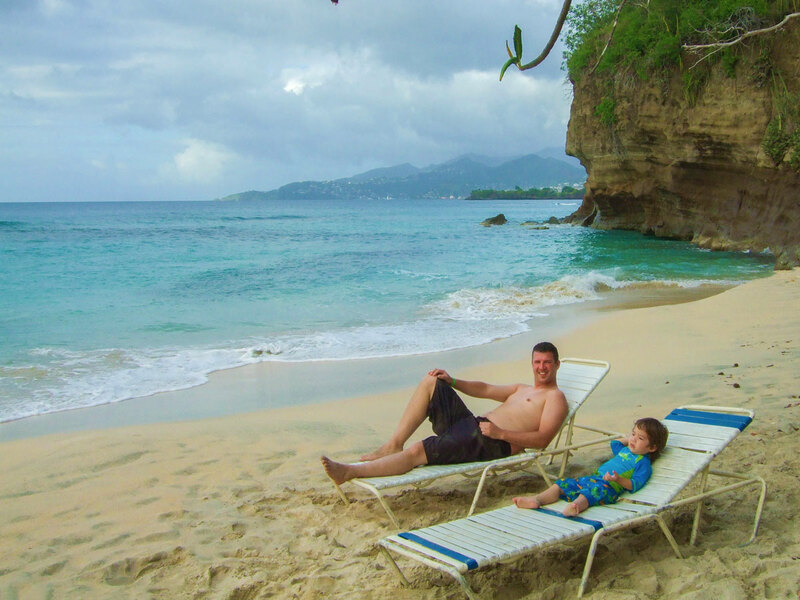 Maybe you don’t plan on just relaxing on the beach during your family travels. 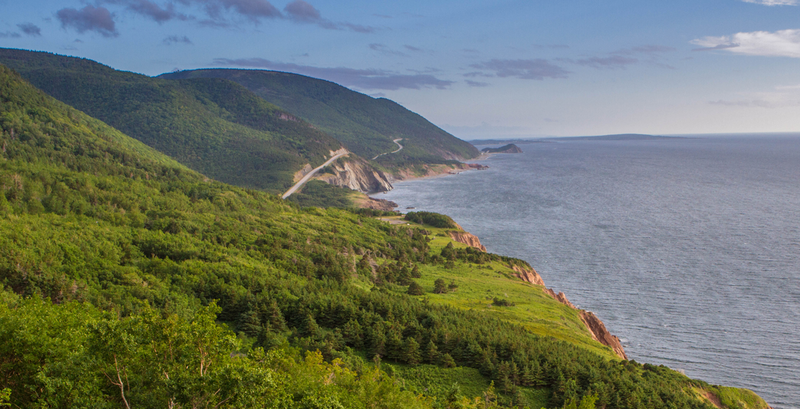 Perhaps you are looking for a road trip through a country. Or opting to visit some historical destinations. You can opt for guided tours, or you can rent a car and do it yourself. Bring your own, or rent a GPS unit. Don’t spend half of your vacation time lost. For a few dollars a day, renting a GPS unit is worth the investment. Get the insurance. Yes, some credit cards offer rental car insurance coverage. However, those plans can have loopholes. Insurance from the rental agency is usually bumper to bumper, and it means no lengthy paperwork and stress at drop off that might make you late for your plane should you have an unfortunate occurrence. And what rental platform you use depends on where you plan to rent your vehicle. You can often go directly to the rental agency. Sometimes that works out to the best prices, but often using an online comparison tool will get you the best results. These are the tools that we like to use for car rentals. Booking.com is a great resource for car rentals. It covers most of the world but seems to offer reliable comparisons in both North and South America. is an excellent comparison site for travel to Europe. They have always been a pleasure to deal with. Is the hotel conveniently located in order to reduce the amount of driving time, and maximize the amount of time we have to experience a destination? Does the hotel offer shuttle services to key places such as airports, city-centers, etc? Does the hotel have on-site services such as restaurants, pools or laundry? Does the hotel or resort have a great reputation? Does the hotel or resort offer the types of on-site activities that will keep both children and adults entertained? 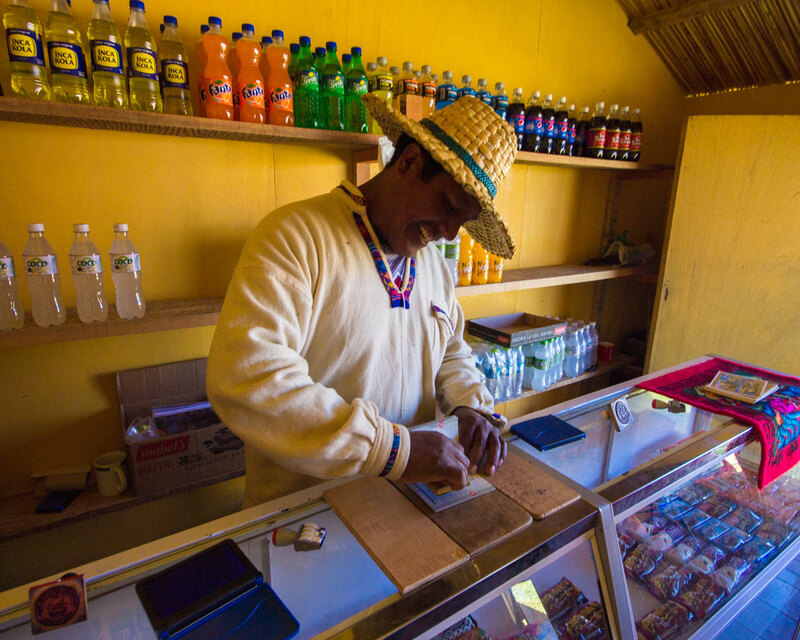 What is the quality of the on-site food and drink? Are there off-site activities available in case we want to explore deeper? Are there any additional costs for on-site services such as food, drink, amenities, or transportation? Here are the sites that we like to use for our accommodation bookings. Hotels Combined is an excellent resource that gives a great range of accommodation options. Their comparison tools let you see many options in the region and compare them to see which ones offer the most convenient locations. Airbnb has taken the travel industry by storm. This tool allows us to book rooms, apartments, or entire houses in the regions that we are visiting. The app is excellent for long-term stays. And if you are looking for unique accommodations, there are some really awesome options. If you are looking for the best family vacations with toddlers, you may need to deal with things like naps while you are on the road. You can find our tips for helping kids find nap time on the road here. Once we know your destination and you have your accommodations locked down, the next thing that we plan is our activities. This is where a discussion with your family becomes very important. When choosing the activities for your family adventure vacations it’s important to take everyone’s needs and desires into consideration. By making sure that each member of the family has a say in the types of activities you take part in, you can ensure that everyone has a stake in the holiday being as positive as possible. We also recommend keeping your destination in mind when working together on activity planning. Get everyone involved by making a challenge for each member to choose something that the destination is known for. For example; when we traveled to Jordan, Christina and I really wanted to experience the Wadi Rum Desert, C wanted to ride a camel, and D wanted to sleep in a tent. 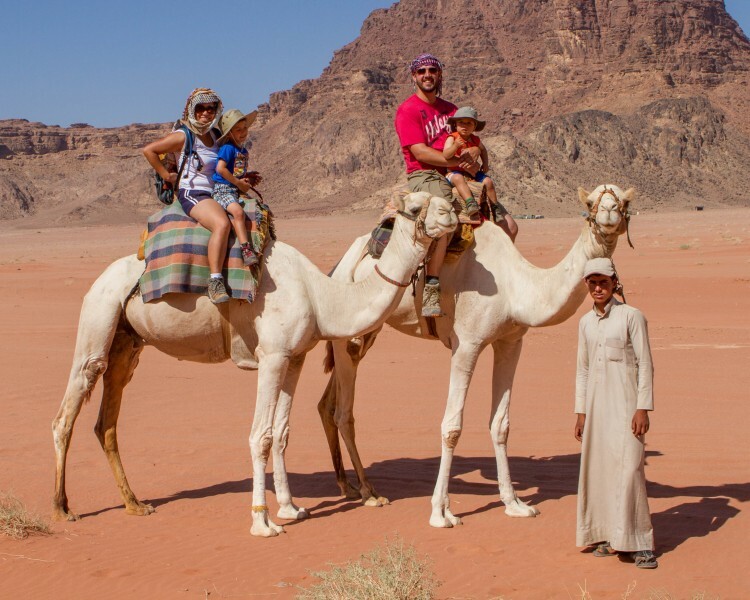 We were able to combine all those activities into one event by riding camels through the Wadi Rum desert to a Bedouin camp where we got to sleep in an overnight luxury tent! It’s something our boys still rave about 3 years later. You can read about our experience in Wadi Rum here. Your activities also go a long way towards setting the tone of your family vacation. If you pack too many things in, you risk exhausted kids. If you don’t do enough, you risk boredom. 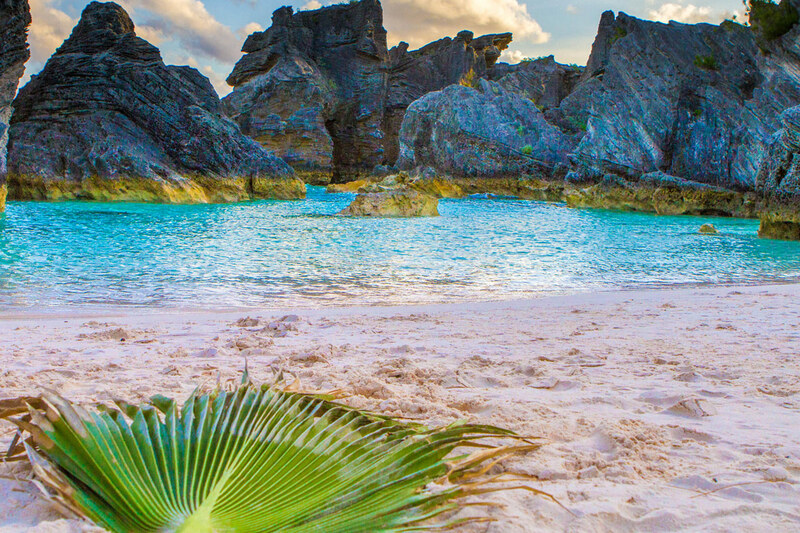 While a resort destination might take the edge off the boredom, there is also only so much time that our kids can spend at a beach. You can also check out our article on how to make travel fun for kids to learn more tips and tricks. That article can be found here. So now you have your destination chosen, your hotels booked and your activities planned, you need to get your documents in order. Depending on your destination, you may need to deal with embassies or government agencies for things like visas or passports. It is highly advised that you organize these items as early as possible so that you avoid learning that you need documentation before it’s too late. Every country or region may have different rules regarding what they need to have shown before you travel there. You will need to make sure that your passports will be valid for about 6-months past your estimated return date in order to ensure there are no issues at the border. Make sure to also research whether a destination has a visitor or departure tax. A visitor tax is a payment that must be made to enter a country. A departure tax is a payment that must be made in order to leave a country. Often, these taxes must be paid in cash, or it is best to pay in cash to avoid long lineups at the airport. Accidents can happen. While we have been lucky in our family adventures, there is always the risk of injury or illness. You may be covered for travel insurance under a workplace insurance policy, but is your family? Make sure you check this out before you leave so that you have time to get yourself covered in case something happens. Depending on your travel insurance, you may also be protected against unforeseen circumstances that limit your ability to travel to your destination as well. Check for coverage for things such as travel cancellation, family illness, evacuation and so on. Depending on your travel destination, you may need vaccinations to prevent illness and disease. A visit to a travel doctor can help you know what precautions you may need to undertake before you travel. Travel doctors have in-depth knowledge on the unique needs of international travelers. They can help you understand any risks that might be involved in traveling to exotic destinations. 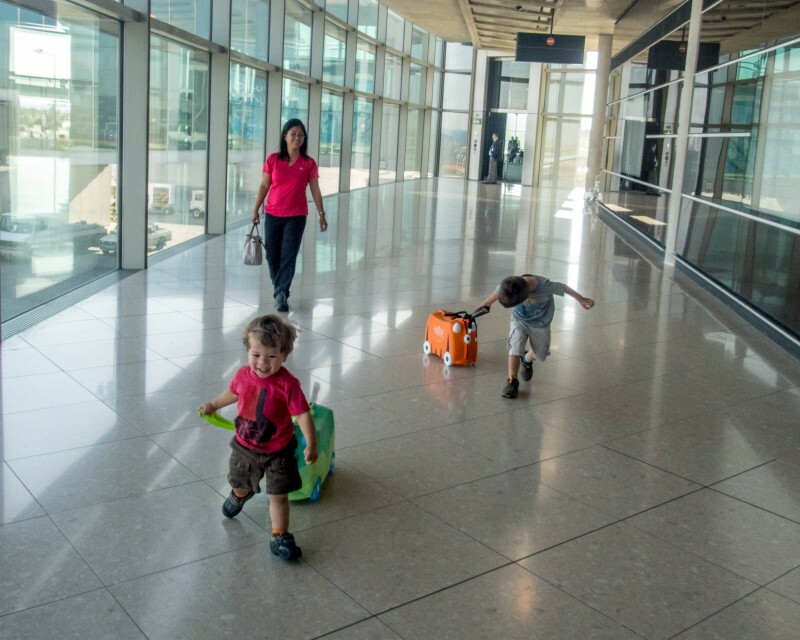 The next step in your family adventure is getting your bags packed. Ensure that you have the proper luggage and travel gear for your adventure. Be aware that there may be different weight limits on bags depending on which airline you choose. Make sure you choose the gear that suits your travel style. If you are backpacking through the mountains, a spinner luggage won’t help you very much. And if you are staying put in a resort, a backpack may not be the ideal packing tool. You can check out all of our favorite family travel gear here. Remember that unless you are going to be carrying your gear on an epic backpacking adventure, it is always best to err on the side of caution. Bring what you need. This is especially important when you are traveling with kids. But on that note, don’t bring everything and the kitchen sink. 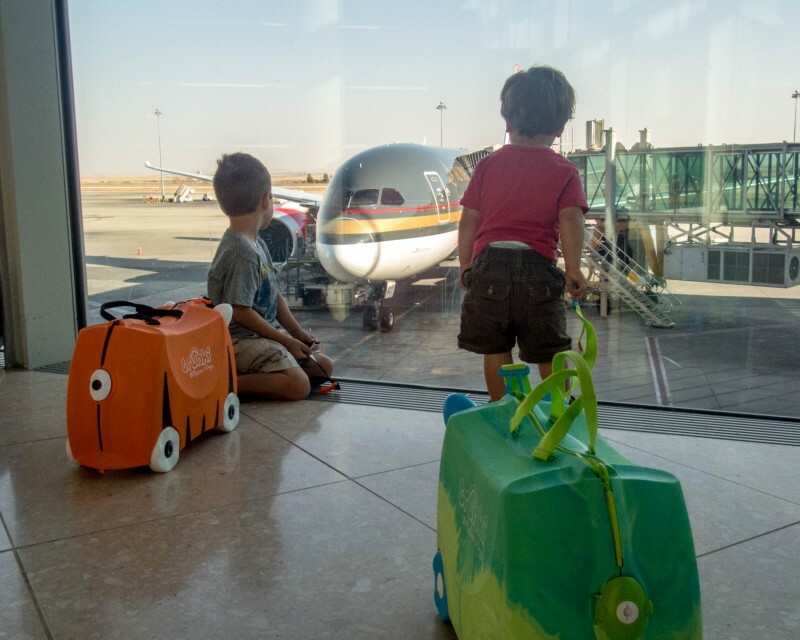 You can check out our post on everything you need to know before planning your international travel with children here. Your bags are packed, you’re ready to go, your standing here outside your door. But how are you getting to the airport? There are a number of ways to get yourself to the airport and they all have their benefits and disadvantages. When we book our airport transport we usually take a few things into consideration. The time we will be traveling for, the cost of the parking vs. the cost of the taxi, and the convenience of public transportation to the airport. It’s also important to consider traffic. We live near the Toronto airport, so the rush hour for us means the difference between a 20-minute drive to the airport vs. an hour-and-a-half. Here are the main methods we use for getting to and from the airport. Taxi / Airport Limo – This is the tried and true method. Taxis know the times and the shortcuts. Plus they can usually drop you off right at the doors to the departures lounge. On-Site Airport Parking – This is usually the most expensive parking, but it has the convenience of being a short walk from the departures lounge. We will occasionally use this for short-term trips. Off-Site Airport Parking – This type of parking usually involves parking a few kilometers away from the airport and taking a provided shuttle to the airport departure lounge. Off-site parking is usually significantly cheaper than on-site parking, however, you may be stuck waiting for a shuttle for a few minutes. Public Transportation – Taking public transportation to the airport is usually the least expensive option and the one that requires the most time. The advantage is that you have no booking ahead of time. But you are stuck carrying your luggage with you. We will usually only use this method if our accommodations are near the airport in a city that has reliable public transport. So there is a lot to family travel. But the benefits outweigh the stress in so many ways. 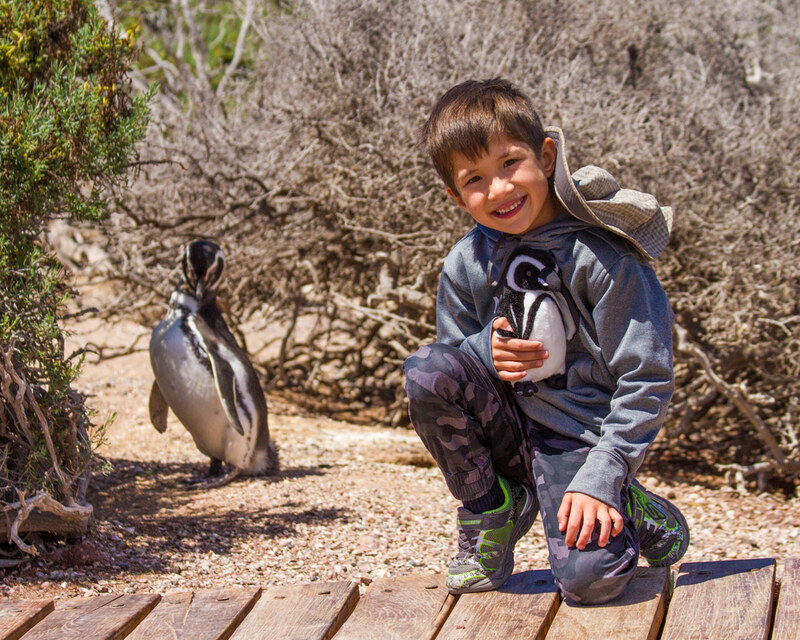 Our goal here was to help you understand your options and break down the steps so you can plan the best family adventure vacations! Are there any tips that we’ve missed? We would love to hear your tips and tricks, and if we’ve missed something, we will make sure to add it to our list so that other family can benefit from your experiences. Great guide. It helps to be organized when traveling with family to make sure every runs as smoothly as possible. Booking good flights starts the trip off right. Absolutely! We never feel like our trip has started until the wheels have left the ground! As someone who travels with family very frequently, I absolutely resonate with all of the hassle that comes with planning a trip. We have grown to enjoy the process as it prepares us for an exciting adventure. This is a great list! I really agree with your first point. Picking the right destination is so important and the wrong place can really ruin a trip. Absolutely! Start right to end right! First of all, you have got a nice family which I liked the most. Then your tips will be a great help for the people who usually travel with their family. So, this is really a cool post idea. Thanks & best of luck. Great post, loaded with sound recommendations and good tips. And your photos are amazing!